The two days of this workshop will cover similar topics and each day stands on its own as a complete workshop, however the whole weekend will give a more complete experience. Saturday will be dedicated to an intro of each skill or project and is the day to choose if families want to attend with their children for a day outing. 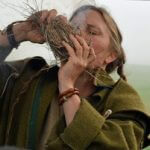 On Saturday, we will be making hand drill friction fire in groups and also exploring string making technique using hemp twine and working in groups. Sunday will be devoted to exploring each project or skill in more depth and is recommended for those who want to delve deeper but can only spend one day with us. Sunday we will move into extracting raw fiber from Dogbane and practicing single person methods of string making as well as splicing. On this day, we will be working on individual or pair techniques for Fire Making. Anyone is welcome to join us here, but it is especially recommended for adults & kids with previous experience or who want to go deeper. Weekend Workshop attendees (Saturday and Sunday) will benefit from getting a basic introduction on Saturday, followed up by time on Sunday to take things to a deeper level. 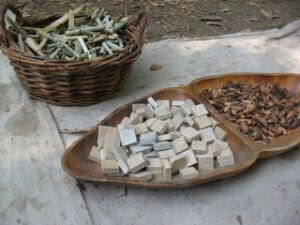 Weekend attendees will also receive the additional treat of having some wild food treats as part of the dinner.